David Bradbury is one of Australia’s best-known and most successful documentary filmmakers whose work takes us into the heart of struggles for environmental, social and political justice around the world. His films have been shown on all the major Australian commercial and public broadcast networks as well as overseas. Bradbury has won countless international film festival prizes and was the winner of five AFI awards and two Academy Award nominations. He began his career as a radio journalist with the Australian Broadcasting Corporation in 1972. Bradbury worked as a freelance journalist covering the Spring Revolution in Portugal in 1974 as well as the overthrow of the Greek military junta in Athens that same year and the final days of the Shah of Iran. 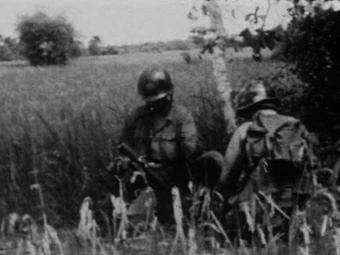 David Bradbury / 65´ / 1979 / Australia / Betacam SP An account of the Vietnam war as seen through the camera of Australian journalist Neil Davis. His footage of the conflict was seen nightly by millions. Vietnam was a television war, a war said to have been lost in the lounge rooms of middle America. and not on the battlefield. David Bradbury / 77´ / 2002 / Australia / Betacam SP A film that expresses the passionate vitality of the Cuban people and their willingness to embrace life and “get on with it” despite the challenges facing the island nation. You might not know Philip Blenkinsop’s name but chances are you have seen his frontline photographs. His work has appeared on the front cover of Time Magazine and his documentary art has been exhibited in countless galleries around the world. Philip’s creative stomping ground is South East Asia, where he divides his time documenting current civilian uprisings and lesser-known wars. In 1989 Philip left his comfortable life in Australia to pursue a photojournalism career in China. To his own surprise, he finds himself still there 20 years later, now trying to create a workspace in an impressively chaotic studio. This is where Oscar-nominated filmmaker David Bradbury catches up with him, and it is one of the rare times that we see Philip confined to the indoors. Unlike many of his journalist peers, Philip refuses to be corralled at a Hilton buffet and escorted to political hotspots. The majority of Philip’s time is spent dodging teargas and rubber bullets as he ekes toward the epicentre of conflict and experiences the edges of human emotion. David Bradbury / 74´ / 1983 / Australia / Betacam SP In 1978 the revolutionary Sandinista movement came to government after 43 years of organised resistance and the death of 50,000 Nicaraguans. The people in our recent culture who become greater in our memory as time passes are rare indeed. Joaquín Jordá is one of them. Perhaps because we regret his absence like an unequivocal testimony of the weight of his presence. Perhaps because in his voice, in his gestures, in his way of walking, in his gaze, above all in his gaze, a unique and unrepeatable capital of experience came into play. Very probably because Joaquín was the leading actor in all the feats that have been attributed to him and these, like his ideas, –round, exquisite, original even within the orthodoxy–, belonged almost invariably to the order of certainties. A succinct evocation leads us to pass, hardly leaving a record, over two facets of his polyhedral career: on the one hand, an early communist militancy, and on the other, his exhaustive link with books – supporting the birth of impossible publishers such as Praxis, directing film collections for the publishers, Anagrama, translating, with accredited rigour, a large number of texts, from the Marquis de Sade, Georges Bataille or any other “classical author” to those drifting from the “new” amorous disorders of Alain Finkielkraut. For a long time, it was not at all strange to find that the most interesting books, those that you could not put down, bore the fingerprints of Joaquín Jordá. It is necessary to remember his decisive intervention in such a relevant event in the history of Spanish cinemaas the foundation and the life of the so-called School of Barcelona. At the end of the 1960s, a group of people came together to each shoot an episode of a film which was intended to be innovative, shattering, loaded with the future. They were Pere Portabella, Jacinto Esteva, Gonzalo Suárez, Ricardo Bofi ll, Antonio de Senillosa and Joaquín Jordá. Joaquín and Jacinto Esteva saved themselves from scepticism by putting their two episodes into the full-length fi lm, Dante no es únicamente severo (1967), the literal point of ignition of that phenomenon. In a brief interval – even time was different in those days -, three, four, five years, according to who is doing the counting, the recognisable members and those who excluded themselves (Pere Portabella…) shot so much ammunition against themselves that there are historians who deny the existence of the School itself. However that may be, it is a commonplace or a feat to attribute the drawing up of his programmatic manifesto and, subsequently, his directing or his ideological tutelage to the political shrewdness and the intelligence of Joaquín. Initially a cinema scriptwriter from the early sixties to the end of the century (for Carlos Durán, Mario Camus, León Klimovsky, Germán Lorente and Vicente Aranda, with whom he also worked for television…), his scripts written but not used or his projects (for video too) fascinating, chaotic and condemned to the anonymous bottom of the drawers in his house add up to over fifty. His first work as a filmmaker, Día de los muertos (1960), is a sarcastic look at 1st November, All Soul’s Day, in the ritual Madrid version, which was inscribed on the tripe of the “documentary” short, a filmic area that he refined as time passed. For reasons that are explainable although rather longwinded, Joaquín wandered around Europe for a few years and left his mark in the form of “militant” fi lms, Portogallo, paese tranquilo (1969), Il per ché del dissenso (1969), I tupamaros ci parlamo (1969), Lenin vivo (1970) and Spezziamo la catene (1971), are all examples of an imaginative use of want, from an extreme poverty of resources and his link with the political struggle within communist discourse but not its orthodoxy. Back in Barcelona, he waited for almost ten years until he made Numax presenta… (1979), first, and Veinte años no es nada (2004), later. In the first, the militant witness, now without a party, of the long struggle of the workers of the Numax company and of their self-governing experience; and in the other he turns his view upon the same workers eroded by time on the open furrows in that collective body of workers which does not forget but which has been split into a thousand splinters. That rough and notable diptych is, in the end, the writing in film of the ups and downs of a generation that took the working class as the axis and the subject of the story. El encargo del cazador (1990) too was a generational matter with a pretext assimilated to the filmic memory of a friend, Jacinto Esteva, who had died in 1985. Redolent of a notable melancholic tension, a tremblingly “neutral” camera-eye framed a few corpses present (on leave, as Lenin would say) to emphasise the grief for an absent friend. Thanks to TVE, the film slept for a decade in the darkroom and was never distributed in cinemas. In the 1990s, Joaquín taught numerous seminars and courses on scriptwriting, he wrote quite a few films for other filmmakers and in 1995 he joined Universitat Pompeu Fabra as a teacher. A little later, he made an excellent rural thriller, Cuerpo en el bosque (1996), which is more exactly rural and political, located in the entrails of the Guardia Civil with a memorable humour that was close to sordid. 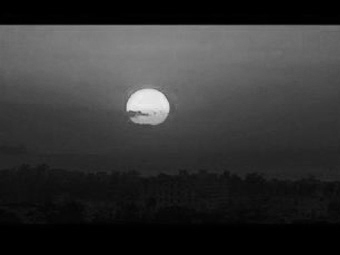 And, after a short time, as he told later, “I suddenly saw a shock of light, a ray within my head “. He so summarised the episode of 1997, a devastating stroke which attacked his capacity to orient himself in space and time and to understand or decode anything written. That fact unbalanced a person who had constructed a large part of his cosmovision with books, writing and his gaze, because all of that became fractured. He then did a great job, perhaps the best of them all, recovering his “good framing”, his certain gaze, as a subject and as a subject in the world. His last few years were very fertile, almost febrile… and of his texts, scripts, classes and films we shall only emphasise two: the final pieces, particularly Monos como Becky (1999), and his involvement as a teacher in the Masters in Documentary Creation at Pompeu Fabra. In 1990 he began working on the “character”, Egas Moniz, a Portuguese neurologist and Nobel Prize Winner who dared to enter the human brain with a scalpel. Nine years later, metabolising his cerebral episode and on the initiative of the masters programme and of Jordi Batlló he was able to make his film. the competition of Monos como Becky… many hands came together and many criteria around Joaquín Jordá and a film which is of an unforgettable warmth and “documentary” intelligence. Comparing the double “documentary” operation between the Numax workers and the excremental residues of the “modern” psychiatric institution speaks, for whoever wishes to hear, of a filmic ethic which ran through all the work of Joaquín Jordá. In a poem by W .H. Auden, one verse said sententiously “only time knows the price that we have to pay“. A number of filmmakers who were trained or who learned by working on his films…Marc Recha, Isaki Lacuesta, Carla Subirana, Nuria Villazán…willingly pay that price to a person who, apart from knowing was able to teach part of what he knew (without a doubt, the signatories to this article do so too, as well as the cast of teachers that Joaquín amazed with his observations in the long and delicious sessions of debate about “how to teach what we teach” that we held in Valencia during the first few years of life of the Scriptwriters Training Centre and of the Foundation for Research on the Audiovisual/UIMP). Since his final disappearance, the memory of Joaquín Jordá continues to grow for those of us who knew and loved him. And also for those who get to know him now. The MiradasDoc initiative is, without a doubt, a splendid and generous moment to gain depth in the celebration and the extension of that knowledge which is a re-cognition. Perhaps this was written by Roland Barthes or maybe it was Claude Levi-Strauss, we don’t care. A tribe of unknown location stopped using a word for ever, which was dragged out from their common language, when somebody fundamental to the group died. The signatories to this text have also carefully chosen the word which we shall no longer use to celebrate the free gaze of Joaquín Jordá. Abbas Kiarostami is about to celebrate his fourth decade as a filmmaker, having conquered practically every sphere of the film world, except, of course, Hollywood. Few directors have garnered as many awards and honors as he has. He has won prizes at Cannes and Venice, and is revered as a master of Contemporary Film and even as the living legend of Iranian Film. And he has not achieved this by using massive amounts of resources and huge budgets, nor does he wish to do so. Instead, he relies on his brilliant and very personal creative vision. His films, with their simple scripts, leave a profound mark on viewers. He habitually resorts to offering films that are poetic, not just in terms of the dialogues, but also in the sense that the scenes themselves show that he is well acquainted with poetry. Not surprisingly, two of his films, “The Wind Will Carry Us” and “Where Is the Friend’s Home?”, are named after poems by Frugh Farajzad and Sohrab Sepehri, respectively, both of who are important figures in contemporary Persian literature. Kiarostami is apt at jumping between the real and the ideal, using scenes that are fairly realistic and portrayed by amateur actors. This is why it’s easy to lose track of where documentary ends and fiction begins. But, perhaps what this director hopes to achieve is to remove the barriers between these two terms. He reminds us that, under the director’s control, the camera captures a part of reality where everything has a role to play: an old woman, a tree, or even a cow. Basilio Martín Patino (Lumbrales, Salamanca, 1930) has been a key figure in Spanish film throughout the last forty years. He was the driving force behind the Salamanca Conversations in 1955. He studied at the Institute for Cinematographic Research and Experimentation, and, following his debut, embarked upon a long solo career that has been characterized by his coherence and his commitment to the reality that surrounds him. He began one of the most personal and riskiest film careers in Spain with “Nine Letters to Bertha” (1966). This first feature-length film is an emblematic work of so-called New Spanish Cinema; it is also the most recent work in this movement. The film won the Gold Shell for the best debut film at the San Sebastian Film Festival. In 1969, Martín Patino distanced himself from the film industry when the censor caught up with him and mutilated the script for “Love and Other Solitudes”. From that moment on, he consciously and purposefully began to work at the margins, away from commercial pressures. Basilio Martín Patino decided –in his own words-: “to wait for them to die. I would never again suffer the humiliation of subjecting one of my films to the censor. Films outlive dictators”. “Canciones para después de una guerra” (“Songs for the Post-War”, 1971), was banned by the censor for five years. The film is a critical X-ray of the post-Civil-War period, built on the basis of a dialectic relationship between the images and the sound track. Both “Dearest Execuxioners” (1973) and “Caudillo” (1974) were edited in secret. The first is a harsh reflection on the death penalty and power. The second is a historical portrait based on the figure of the dictator. Although, with the reinstatement of democracy, these works have now been unearthed, Patino did not work for the silver screen again until 1985, when, after creating his own production company (La Linterna Mágica) and making a video compilation of historical documents in 1980 entitled “The Spanish Civil War”, he shot “The Lost Paradise” (1985), a fictitious historical essay based on Hölderlin’s “Hyperion” whose aim was to construct an intim ist reflection on the need to recover memory. Two years later, he proposed another unorthodox work, “Madrid”, (1987), which again combines fiction and documentary and, once again, delves into the relationship between the individual and history. In 1991, he shot “La seducción del caos” (“The Seduction of Chaos”) entirely on video. The piece was a critique of the deceptive appearance of representation in the opulent world of the media. This project was followed by “Andalusia, un siglo de fascinación” (“Andalusia: A Century of Fascination” 1996), a mini-series made up of seven films shot on video, of which “El grito del sur: Casas Viejas” (“Cry of the South: Old Homes”) is worth noting. With “Octavia” (2002) he again touches upon the subject of memory and the passage of time, the play between personal and social history, and he continues to show an interest in aesthetic reflection and in the cultural reality of his time. It is this freedom that makes it possible for Martin Patino to turn documents into collages, to make fiction out of history and to stray from naturalism. He achieves the narrative force of his work thanks to this freedom. And, with this freedom, he adopts an ethical attitude towards his craft and assumes a sense of duty towards the reality he portrays. To speak of Patricio Guzmán is to speak of documentary filmmaking, but also of militancy, of duty, of his tireless work in recovering the memory of Chile’s recent history. The struggle against the amnesia that the Chilean people were subjected to turned him into a guerrilla of the moving image. 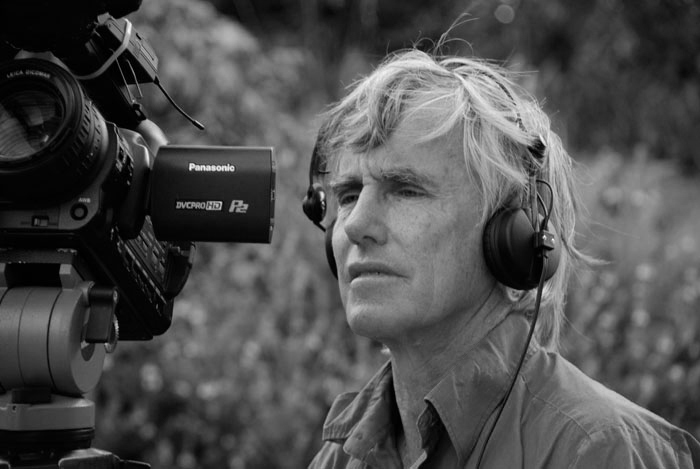 His weapons are an intelligent gaze, thousands of meters of film, and his voice, that personal and ever-critical voice that he contributes in each of his documentaries. In 1972, with a just few cans of film donated by documentarian Chris Marker, a group of young filmmakers who called themselves Equipo Tercer Año (Third Year Team) and were led by Guzmán, began to shoot, in 16mm., the material that would eventually, following innumerable mishaps, be used to put together “The Battle of Chile”. 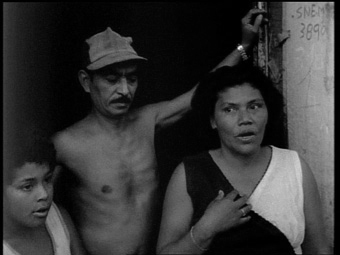 After a year and half’s work, and after the Military Junta had illegally taken power, the film had to be smuggled out of the country and team members went into exile, with the sole exception of camera operator and director of photography, Jorge Müller, was arrested and made to disappear forever like so many other Chileans who were the victims of this barbarity. The film was edited thanks to the help of Cuba’s ICAIC. Since the enormously famous trilogy, Guzmán’s film career has kept close ties to the struggle against political amnesia and the obsession with shedding light on the facts. The filmmaker’s maturity is marked by the different ways in which he treats the same topics. 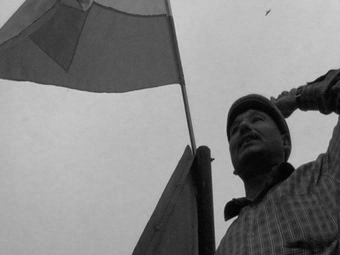 In 1985, Guzmán traveled to Chile to make “En nombre de Dios” (“In God’s Name”), an excellent film in which he portrays the Catholic Church’s and the liberation theologists’ active struggle against the dictatorship. In 1996, he again insists on this theme with “Chile, Obstinate Memory”. Patricio Guzmán tours the scenes of the conflict with “The Battle of Chile” in his hands, looking for some of the protagonists of that time and revealing their history, offering evidence to a people upon whom the powers that be had induced a state of amnesia. The film portrays the conflict between one generation that is incapable of erasing the memories of a sad past and another, younger one, that has been educated to not remember. In “The Pinochet Case”, the Chilean tragedy that Guzmán has been telling us about ever since his early documentaries acquires a new dimension when the surviving relatives of torture victims and of the missing appear and, after twenty-five years, are finally heard by the justice system. Beyond the results of the lawsuits brought forth by judges Garzón and Guzmán against the ex-dictator, the documentary constitutes a veritable moral trial before humanity against the atrocities committed by the orchestrators of Operation Condor. Guzmàn’s final battle, this battle against amnesia we have been referring to, took place in 2005 with “Salvador Allende”, a portrait that goes beyond mere biography to become the filmmaker’s intimate story, recounting his memories and hopes during the Chilean revolution, a peaceful, democratic and socialist revolution. But Patricio Guzmán’s work in film has also followed other thematic lines where he has shown a similar talent and a wholehearted commitment to the documentary genre. For the Chilean, non-fiction is a “tenacious and very beautiful job that provides much greater satisfaction than fiction. It is political, creative, deeply artistic work that is full of freedom and sits squarely before the joy of reality. There is no more extraordinary spectacle than reality.” With this passion for reality, he submerges himself in worlds such as Latin America’s profoundly religious sensibility. From native rites to liberation theologists, including the syncretic cults of African origin, Guzmán takes a tour of the spirituality of the Latin American people.